Southern California is practically a second home for us Phoenicians. 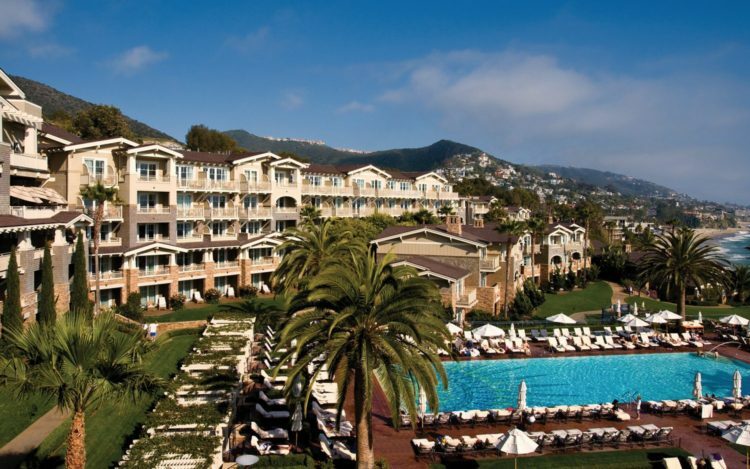 The sunny destination is ideal for getaways in any season and home to postcard-worthy resorts like these OC gems. Located in the heart of Laguna Beach, this seaside retreat is perched on a coastal bluff above the crashing Pacific Ocean just 18 minutes from the Orange County Airport. Accommodations include guestrooms, suites and beach-style bungalows with craftsman-style architecture and ocean views. The resort recently celebrated its 15-year anniversary by debuting a new lobby lounge with floor-to-ceiling windows and indoor-outdoor seating. Enjoy the 20,000-square-foot spa complete with an oceanfront lap pool; three dining outlets ranging from creative American to California-infused French cuisine; its iconic Mosaic Pool and more. The hotel is also idea for hosting large events and weddings with more than 16,000 square feet of event space and picturesque views. 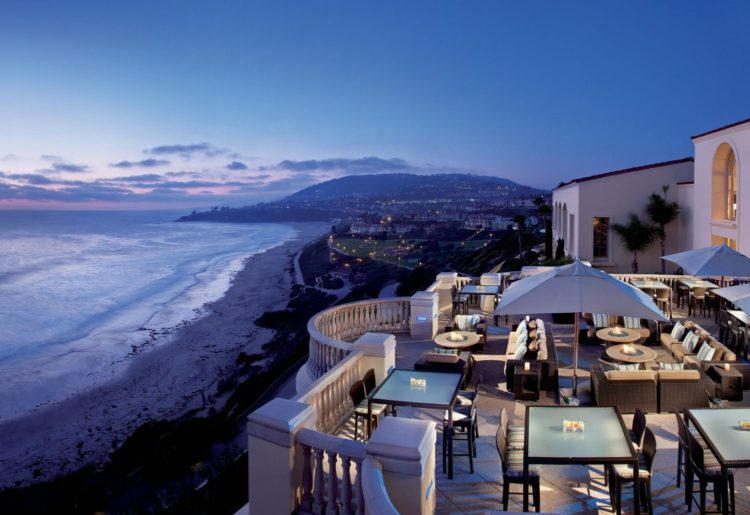 Find this coastal beauty beachfront at Dana Point where rooms and suites are bright, airy and open. Activities here will keep anyone busy, from surfing and whale-watching excursions to body boarding and more. To savor views and mouth watering cuisine, its six dining outlets will wow. Dig into Pan-Latin cuisine at Richard Sandoval’s Raya or kick back at 180blu, a laid back lounge 150 feet above Salt Creek Beach. To fully immerse yourself in the breezy surroundings, book the Laguna Wellness Experience at the spa, a total treatment including skin brushing, a collagen facial mask, slimming body wrap and a massage. This luxe resort is also pup-friendly and even hosts a Yappy Hour that treats furballs and humans alike. 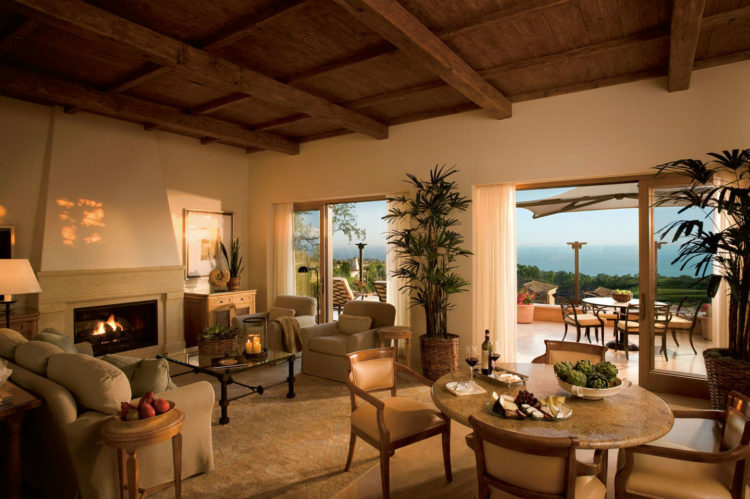 For the ultimate in barefoot luxury, this Dana Point retreat hits the mark. Amenities here are enticing by name alone. A Robert Trent Jones-designed championship golf course offers up 18 holes of award-winning Scottish links-style play along with serving as the stunning backdrop for the resort. To relax, head to the resort’s Miraval Life in Balance Spa where you’ll also find a Drybar, Deborah Lippmann nail studio and an array of fitness classes like yoga, meditation, barre, pilates and more. Dine on Mediterranean-inspired flavors at AVEO Table + Bar or sink your teeth into fine cuts at Michael Mina’s Bourbon Steak, among others outlets. Sparkling pools, a tennis club, surf lessons and more round out the endless fun. 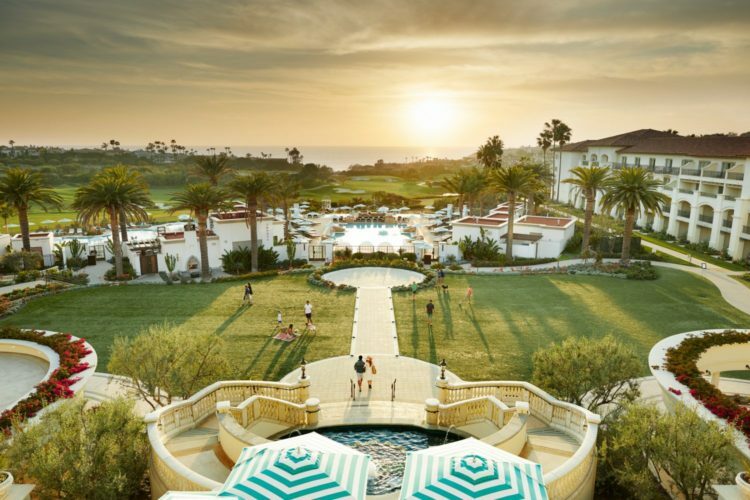 Whether it’s the 36 holes of breathtaking Tom Fazio-designed golf, the Italian-style architecture or the unique Coliseum Pool, this Newport Beach resort is a must-visit. Perched above the stunning coastline, service here is a step above. One-story bungalows, suites and villas offer a variety of ways to stay while its six dining outlets please any palate. Curl up in the luxury furnished cabanas at one of the multiple pools including the Coliseum pool which was made with more than one million hand-laid glass mosaic tiles, or escape to the heavenly holistic spa. Lido House is a four-story boutique hotel housed at the former site of Newport Beach’s City Hall. 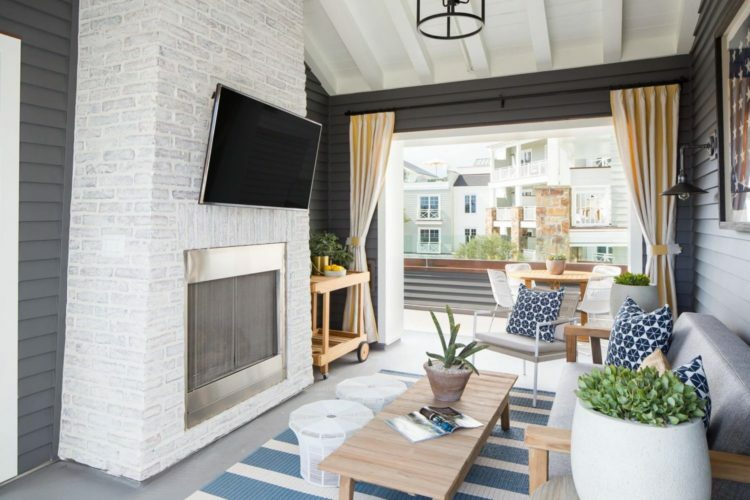 Opened in 2018, this hot spot features a chic coastal Cape Cod-esque vibe, plus custom-designed three-story cottage accommodations, a saltwater pool and private cabanas. Located steps from pedestrian-friendly Lido Marina Village, guests can find upscale boutiques, shops and restaurants within walking distance. For a one-of-a-kind Newport experience, spend nights at Topside, the hotel’s rooftop bar and the first and only rooftop bar in Newport Beach. Enjoy fire pits, communal seating and a wide array of libations with views of the marina and beach, all amid a stylish beach house atmosphere. During the sunny hours, spend the day on the water after consulting the hotel’s coastal curators who can share their favorite routes and hidden gems for a smooth cruise around the harbor. 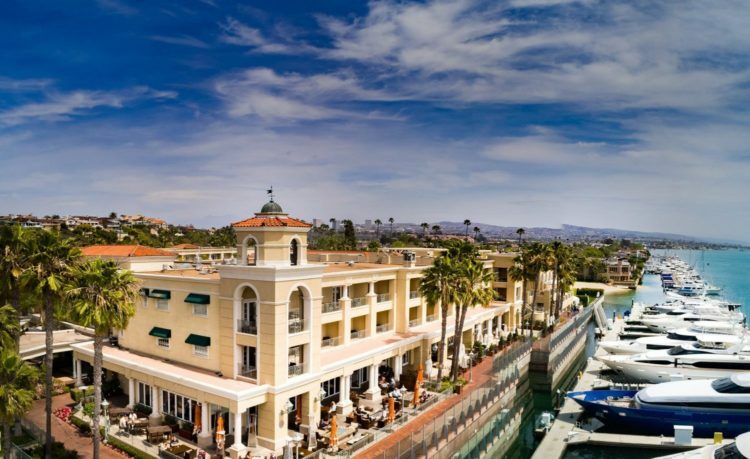 An icon on the water, this nautical resort is located along picturesque Newport Bay. The hotel is conveniently located to enjoy fun activities like kayaking, duffy boats, stand up paddle boarding and more. Jump on a beach cruiser and head to the boardwalk, dive into the resort pool or relax at the full-service spa. Experience water-to-table cuisine at the waterfront restaurant Waterline or kick back at A&O. The gastropub overlooks the harbor with rustic elements like wood floors, reclaimed barn siding walls, an iron-clad bar top and more.